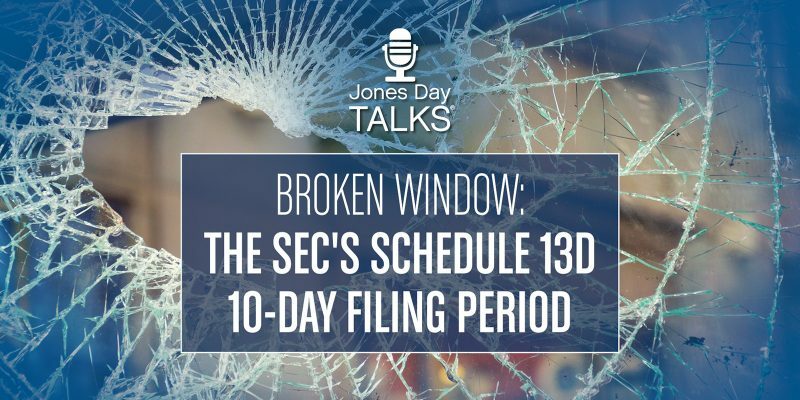 The SEC requires anyone who acquires more than 5 percent ownership of any class of registered securities to file a Schedule 13D within 10 days, thereby disclosing their holdings and intentions. But the process has come under persistent criticism, as activist hedge funds and similar investors have used the 10-day window to conceal their accumulations. Lizanne Thomas, leader of the Firm’s corporate governance team, talks about the current wave of shareholder activism and explains why the SEC’s Schedule 13D 10-day filing window is in need of reform.